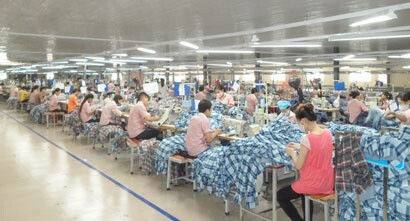 In 2017, State budget revenue of the customs sector exceeded the target by 4.2 per cent or VND12 trillion to reach over VND297 trillion, in the context of falling import duties caused by Vietnam’s commitments in free trade agreements (FTAs) it has signed. To learn about how to further facilitate enterprises in trade and help Vietnam reach ASEAN 4 customs clearance facilitation by 2020, to protect enterprises against counterfeits and knock-offs, and to increase revenues to the State Budget, on the advent of the Year of the Dog 2018, the Vietnam Business Forum has an interview with Mr Nguyen Van Can, General Director of General Department of Vietnam Customs. 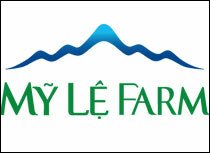 Le Hien reports. The customs sector recorded a spectacular goal achievement in 2017. What led to that success? Against the backdrop of duty reductions on a lot of commodities according to Vietnam’s commitments, right from the beginning of the year, the customs sector deployed consistent and firm solutions to State budget collection, stepped up measures against budget losses and tax debt recovery, intensified post-customs clearance inspection and specialised inspection. The sector focused on high-value, high-tax commodities, imports from questionable markets, price-discounted goods, and commodities with lower-than-fact price rates, goods imposed special tax, tax exemption and tax refund. To fulfil budget collection tasks, the General Department of Vietnam Customs issued Directive 1193/CT-TCHQ on the implementation of State budget collection tasks in 2017 and task assignments to provincial/municipal customs departments. The General Department actively promoted administrative reforms to create favourable conditions for enterprises to further engage in exporting and importing activities, actively coordinated with ministries and branches to deploy the national single-window customs mechanism, signed cooperation agreements with 36 banks, including 11 big banks, to provide around-the-clock tax payment service, and urged tax debt recovery. 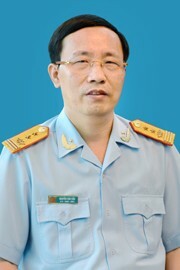 Besides, the General Department of Taxation intensified post-clearance inspection and specialised inspection; regularly propagated, disseminated and trained in new tax policies for customs officers and the business community; strictly adhered to fiscal policies, as well as conclusions and proposals of audit and inspection agencies; and built up a strong contingent of customs officers professional and disciplined in performing their tasks. One of important customs reforms in 2017 was the deployment of cargo surveillance management project at seaports and airports. What could you say about this? The deployment of the cargo surveillance management project has increased automated connection between customs agencies and port and warehouse operators and basically changed the method of cargo surveillance management: Shifting from manual and paper mode to electronic mode. This has helped support export and import activities. 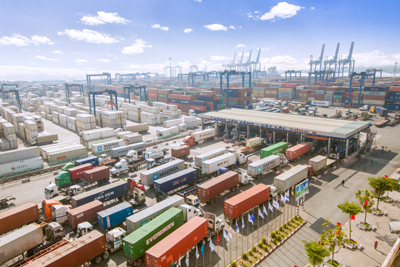 Specifically, as of January 2018, the Hai Phong City Customs Department applied the automated customs cargo management system and administered and supervised 100 per cent of incoming and outgoing cargo at ports by electronic means at all customs agencies with the coordination of 67 local enterprises. The Ho Chi Minh City Customs Department and the Ba Ria - Vung Tau Customs Department implemented the automated customs cargo management system for two enterprises each. Survey results among some importers and exporters showed that the project has reduced time and procedures for them by from a third to a half. As for port and warehouse operators, they are provided full and timely information about the status of clearance permits for each cargo shipment or container so as to control incoming and outgoing cargo in surveillance zones according to regulations. Thus, they can minimise risks in carrying out written documents and enhance the credibility and efficiency of business performance. 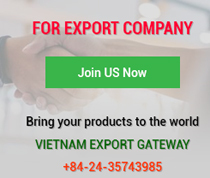 As for customs agencies, they manage to timely get all information including time, quantity and position of inward shipment, storage, porting status, warehousing and shipments with overdue time requirements for customs clearance, thus helping them reduce paperwork in dealing with related procedures. 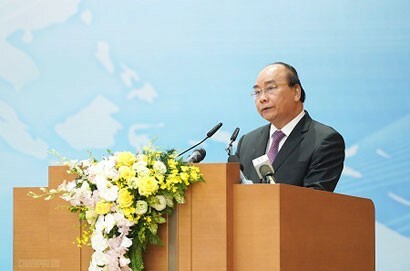 In the coming time, the customs sector will expand the automated customs cargo management system at seaports and airports in Hanoi, Quang Ninh, Ho Chi Minh City, Ba Ria - Vung Tau, Da Nang, Quang Nam, Quang Ngai, Binh Dinh, Khanh Hoa and Can Tho, to greatly enhance administration and service performances. It is said that specialised inspection procedures are still a barrier to export and import facilitation. What solutions will the General Department of Vietnam Customs adopt to remove this barrier? 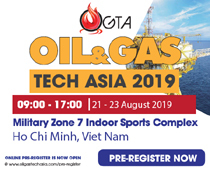 Over the past two years, the General Department of Vietnam Customs, the Ministry of Finance has worked hard with ministries and sectors to simplify specialised inspection procedures to achieve the objectives stated in Decision 2026/QD-TTg. As the standing body assigned by the Government, the General Department has actively integrated, evaluated and analysed shortcomings and limitations in specialised inspection to timely advise and propose the Ministry of Finance to report to the Government to urge relevant bodies. In fact, in 2017, specialised inspection approach changed markedly. In particular, the customs sector continued to work tirelessly with ministries and sectors to make breakthrough solutions and perform radical reforms to management and specialised inspection of imports and exports in order to facilitate exporters and importers, attract foreign investment and enhance national competitiveness. 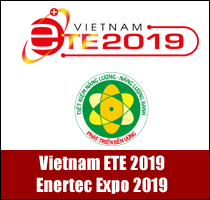 The Ministry of Finance (General Department of Vietnam Customs) will review, amend and supplement legal documents concerning management and specialised inspection; collaborate in formulating and promulgating the list of goods subject to specialised inspection and the HS code. In particular, when issuing regulations, some ministries in charge of specialised inspection management stipulated exempting and reducing actual document inspection of goods subject to specialised inspection and applying information technology in receiving and handling documents, exchanging information and changing the time of inspection to post-clearance examination. The Ministry of Finance has also coordinated with 10 other ministries responsible for specialised inspection to set up and operate 10 places of specialised inspection in eight customs locations. 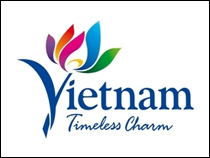 In the coming time, the General Department of Vietnam Customs will continue to review and promulgate the list of exports and imports subject to specialised inspection before the time of clearance and the list of goods obliged to undergo post-clearance specialised inspection. It will work to improve the specialised inspection of imports and exports by applying risk management methods, applying enterprise priority regimes, changing from customs pre-inspection to post-inspection, and applying international standards while stepping up information and communication on exports and imports with organisations and individuals. What are your key directions for the customs sector in 2018? The customs sector will continue to push up substantive and extensive customs reform and modernisation and enhance administration performance. In 2018, a uniform and integrated customs management system will be developed to integrate all customs areas into the synchronised customs system integrated with the VNACCS/VCIS system to enhance the customs capacity and facilitate businesses. It will well perform its role as an executive body to the National Steering Committee for ASEAN Single Window, National Single Window and Trade Facilitation, and to advise the Government to carry out stronger, more groundbreaking measures. It will intensify customs inspection and supervision, perform post-clearance checks, fight against trade fraud, smuggling and illegal trade, and enhance risk management. The General Department will apply consistent and comprehensive inspection and audit solutions to prevent losses and overdue debts to realise the goal of collecting VND283 trillion for the State Budget in 2018.